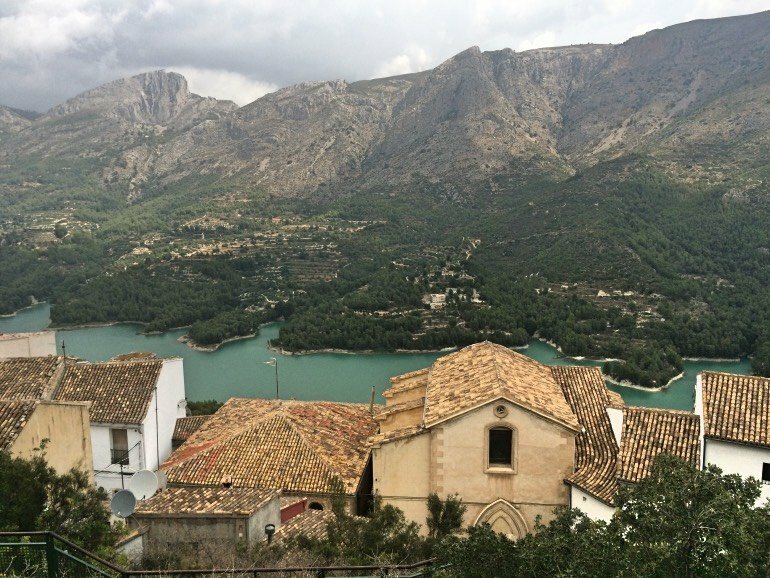 One of the most visited villages in Spain is Guadalest, yet we had never heard of it before. 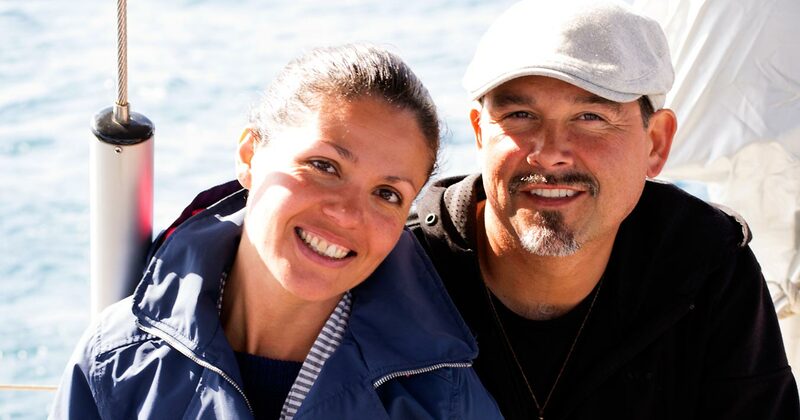 It’s conveniently located just inland from where we live and the various Mediterranean beaches of the Costa Blanca. So we hopped in the car with friends one summer day and went to discover its renown castle and ancient village. 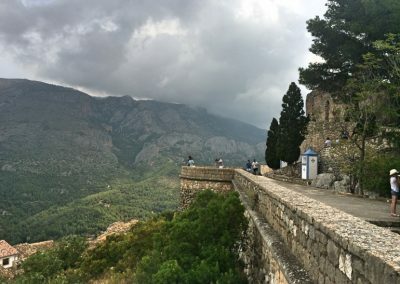 What we experienced among its mountainous peaks and stunning views, confirmed why it’s such a popular and sought out destination in Spain, yet still authentic and well worth visiting. Everything about this tiny Spanish village is what you want to see. 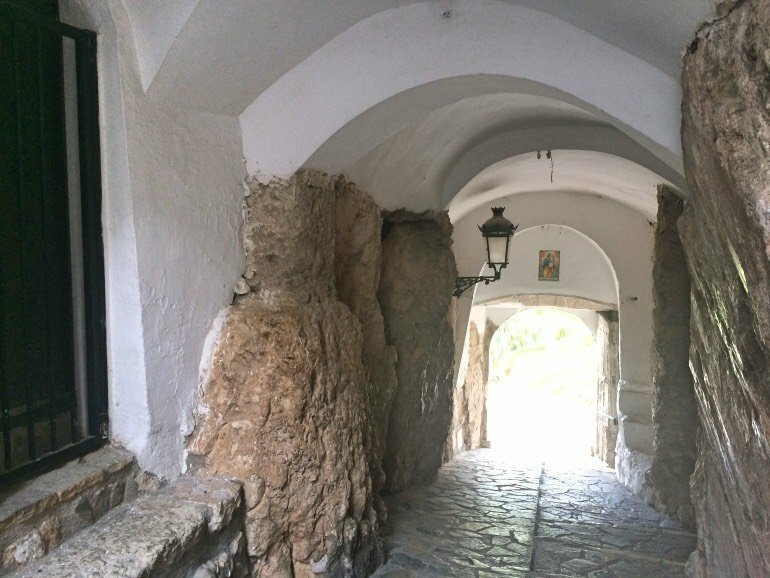 Walking is the best way to enjoy it, and it is the only way since there are no cars allowed on the main street and throughout the upper area where the historical center is. The ‘streets’ are lovely, cobblestoned paths that are for pedestrian use only. 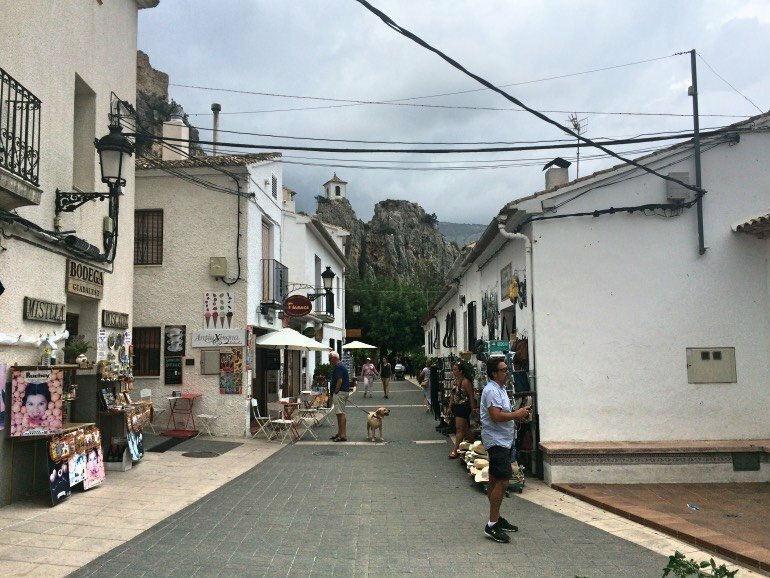 This is because the village is perched so high on a large rock formation of craggy peaks that rise up out of the Guadalest Valley. 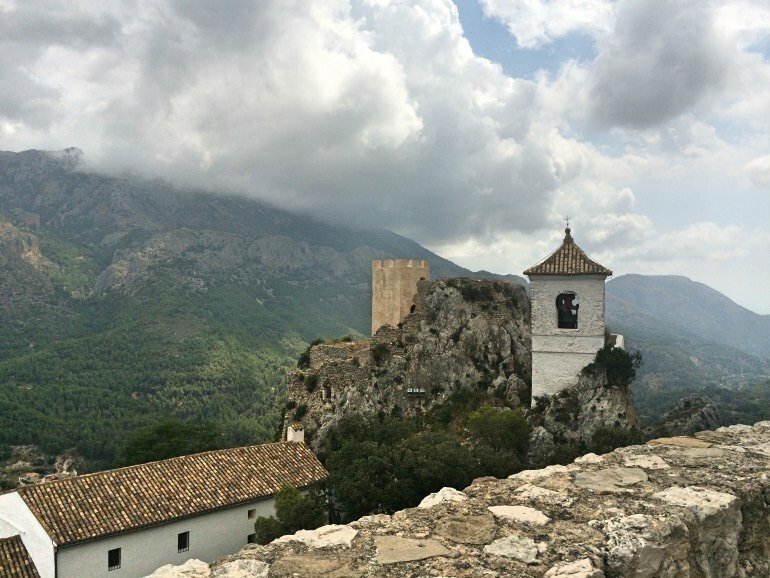 There are two parts to the village of Guadalest: the lower part and the upper part. The lower part is where everyone first arrives. 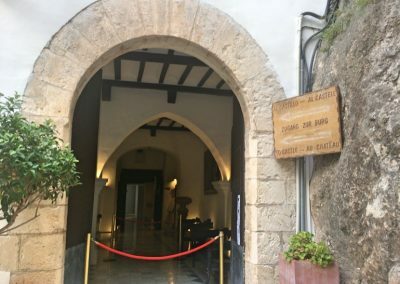 Here there are easy parking areas, some cafes and restaurants, and other small museums and shops that we mention further below. From here to the upper level, it is a steady uphill walk but nothing too steep. You’ll easily find signs for the main street that takes you to the only entrance into the upper level of the town. It’s literally a tunnel into the rock itself. 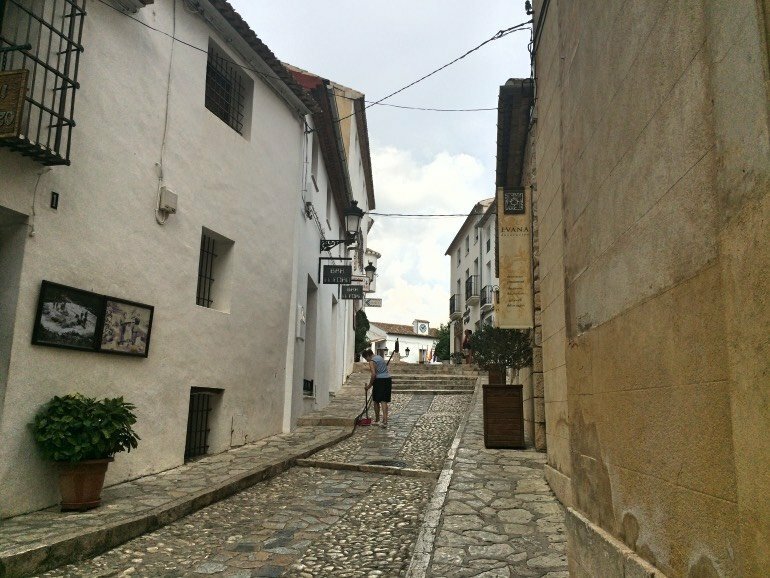 Once passing through this, the charming stone street turns to the left and leads you past quaint shops and restaurants, then into the main plaza. This is the ‘old town’ and opens up to magnificent vistas of the reservoir in the valley below and the gorgeous mountain range on its other side. 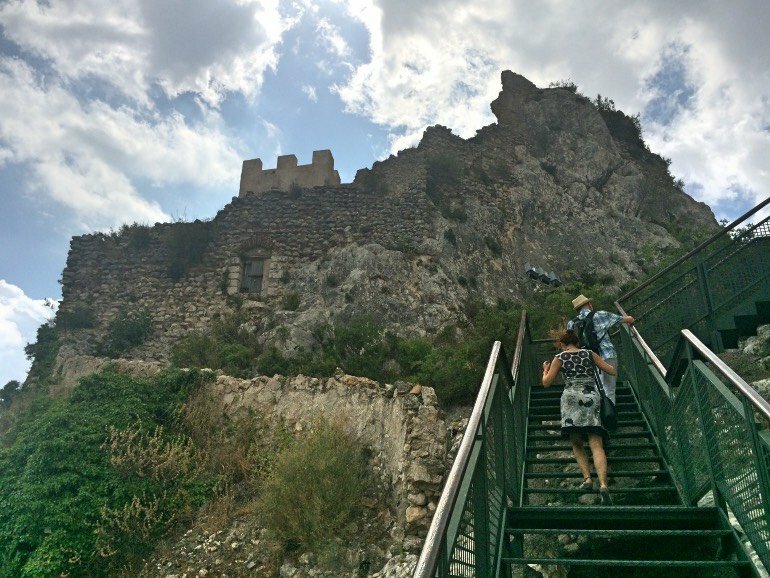 Behind you, you can look up at the towering castle remains that straddle the highest points of the rocky ridge and overlook the lower and upper village from either side. 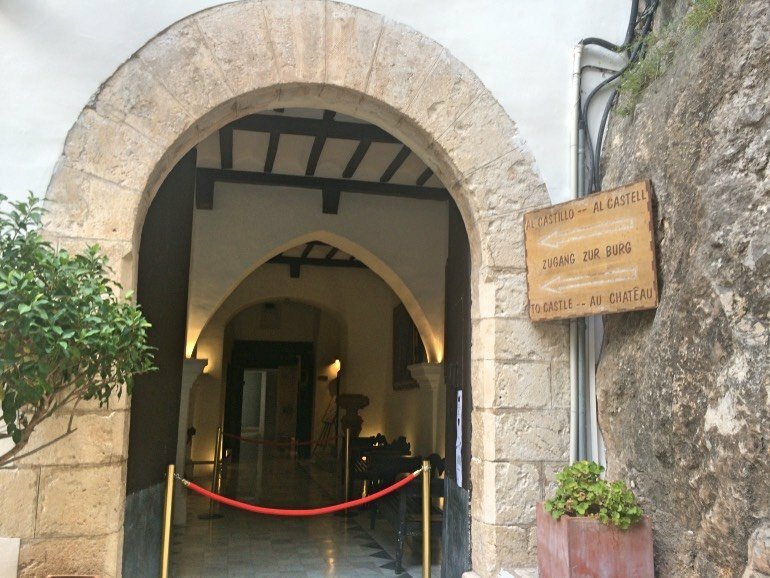 The Casa Orduña is today the main site to visit in Guadalest. You can’t miss the entrance, since it is just across from where you come out of the tunnel into the upper level of the village. 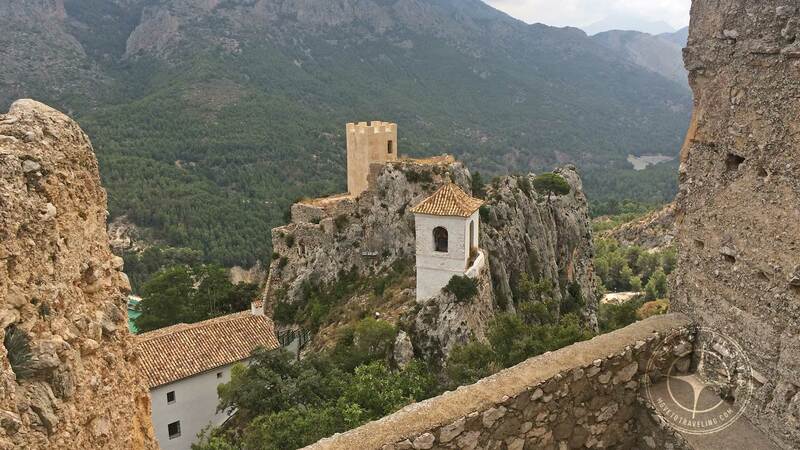 It’s also called the ‘Grand House’ of El Castell de Guadalest (the Castle of Guadalest), and the two are connected. It was built some time after a great earthquake in 1644, which caused a lot of damage to the region and the adjoining castle. Today, the impressive home is a museum and all the rooms can be toured. 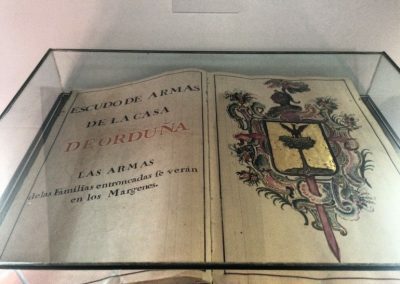 They’re still furnished with the belongings of the Orduña Family, which shows their high position of wealth and status during the 18th and 19th centuries. The family history itself is very interesting and the museum provides a lot of information about it in several languages. What is most impressive is the location of the Casa Orduña. It is perched on the side of the rocky ridge that overlooks the valley below and on which most of the old town sits on. 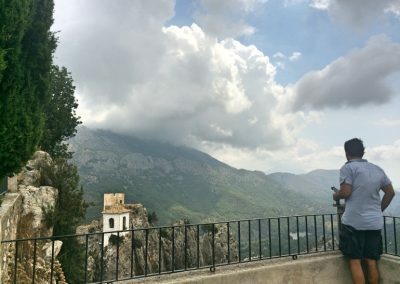 The eastern side actually overhangs the rocky edge which drops down in a sheer cliff to the valley below, and the western side has its own chapel and extends over part of the neighboring church. 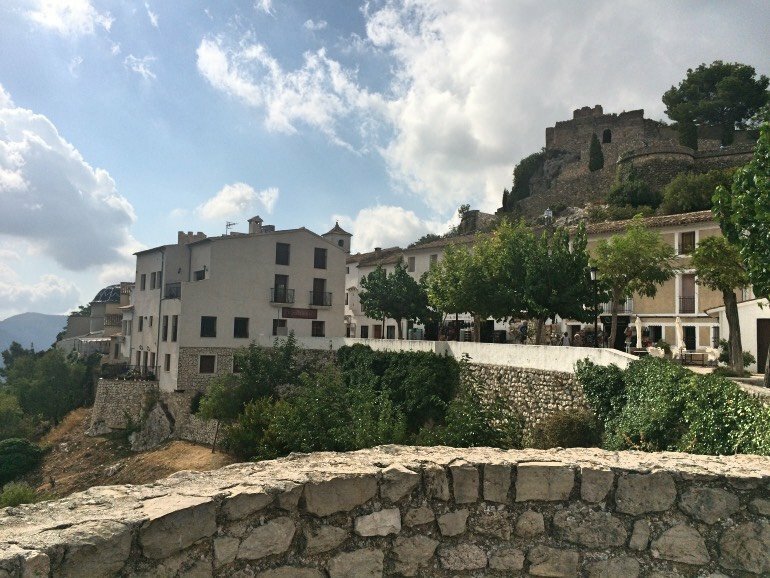 Then there is the Castle of Guadalest, or Castillo San Jose, which has to be entered through the Casa Orduña. Tickets are only 4€ to enter and tour both. This is where you especially get the full impressiveness of how the house and castle are situated on the top of these dramatic rock outcroppings. 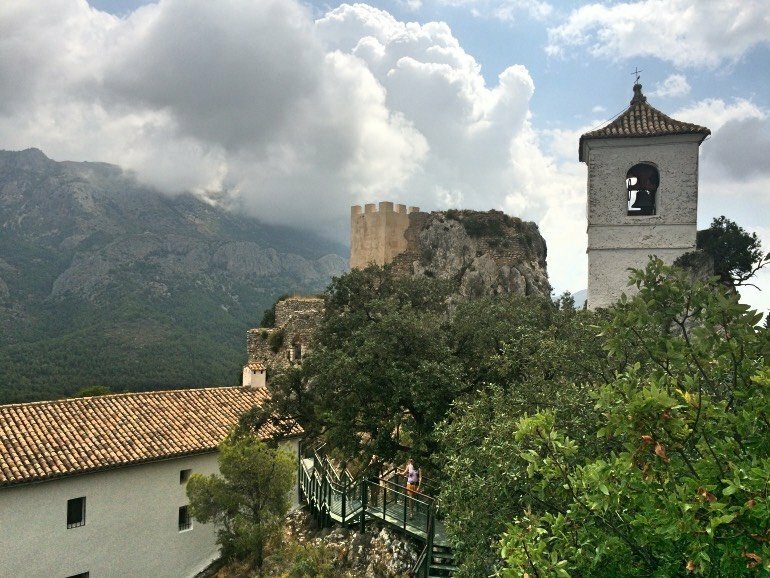 From the Casa Orduña, there is a metal stairway that you walk up to reach the top of the ridge. It brings you to nearly the top and along that side of the ridge that overlooks the main plaza below. Here there is a cobblestone path that parallels the rock side and two short stone stairways that reach the very top. Here is where the remaining castle tower, chapel, and cemetery are located. 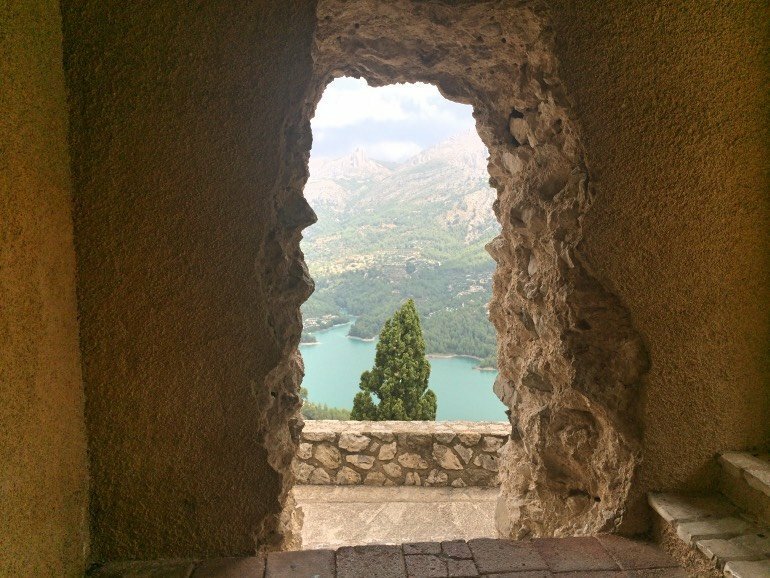 It was marvelous to tour, with such stunning views in all directions, especially from the very top of the castle tower which you can enter. The architecture itself was also the epitome of what you envision a castle of such history to be, with such old rock walls and roughly hewn window openings and doorways. 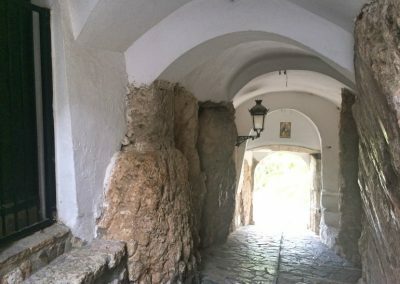 The village and castle were originally Moorish up until the 17th century, and it is especially in the castle that you can still see some of this architectural influence. 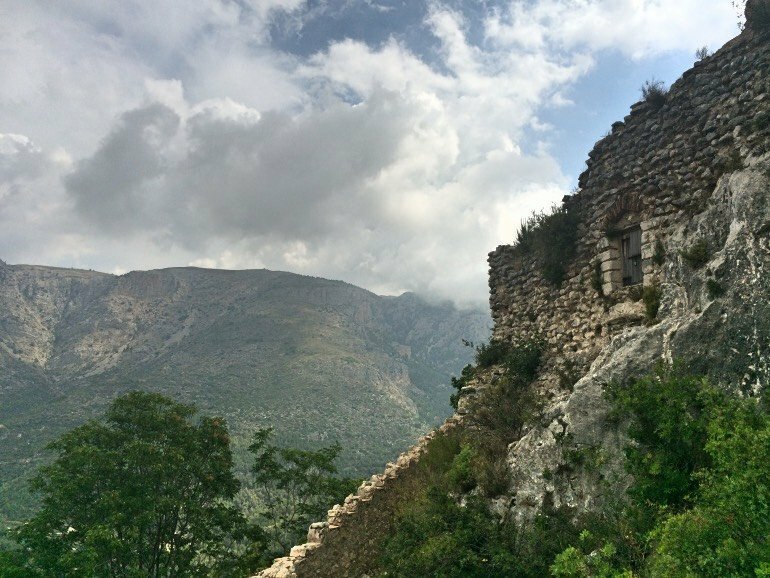 From the castle, you can get the best views of the ‘Alcozaiba Fortress’, which is on the far end of the ridge, on the steepest peaks. Here there is a remaining fortress tower and bell tower from the original Moorish Fortress, but it is not open to the public and seems almost stranded out on their precarious peaks. 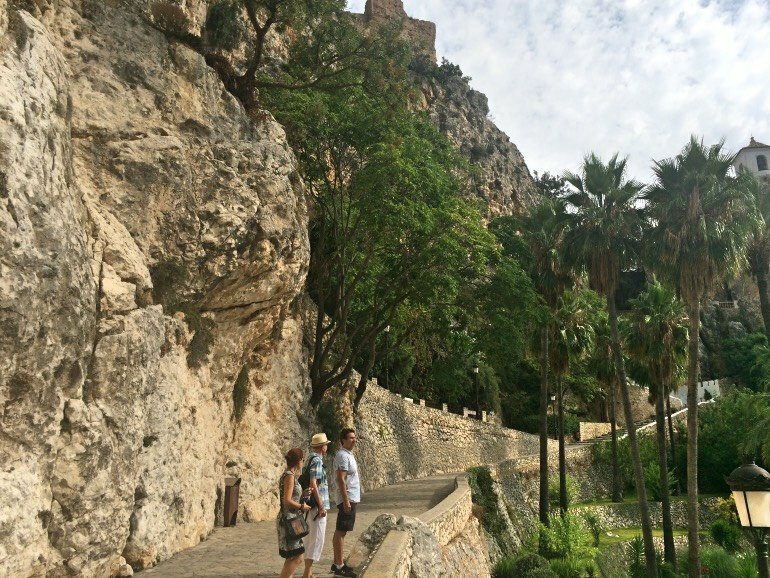 Guadalest is only a 30 minute drive inland from the popular beach town of Benidorm. This means that there are a lot of tour buses that bring visitors. 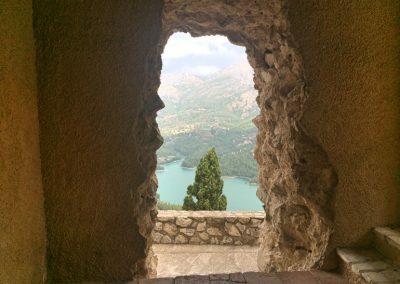 For this reason, we opted to get to Guadalest earlier in the day, by 10am, and then left in time to get lunch on the way home. From our town of Denia, it’s a little longer, but only an average drive of 1 hour and 15 minutes to 1.5 hours. 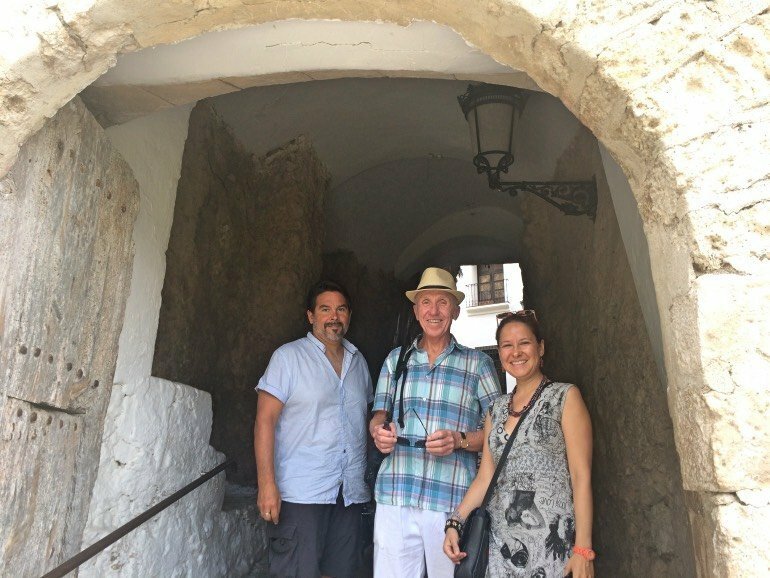 There are also tours that are done from Denia and other nearby towns such as Javea (Xabia in Valencian) and Altea. In the main plaza of Guadalest, located in the upper level, there is the old jail. It’s quite small so doesn’t take long to tour. The Museum of Miniatures, located in upper part of the village. The Museum of Micro-Gigantic, located in the lower part of the village. The Ethnological Museum, in the old town or upper part of the village. The Medieval Historical Museum, also located in the lower part of the village. The Museum of Salt and Pepper Shakers (Museo de Saleros y Pimenteros), located in the lower part of the village. This one really stands out. The woman collecting them from all over the world has over 20,000 in this location, and another 20,000 in her museum in Gatlinburg, TN, USA. The Guadalest Valley Historical Vehicles Museum, located not in the village but nearby, only 7 km away. 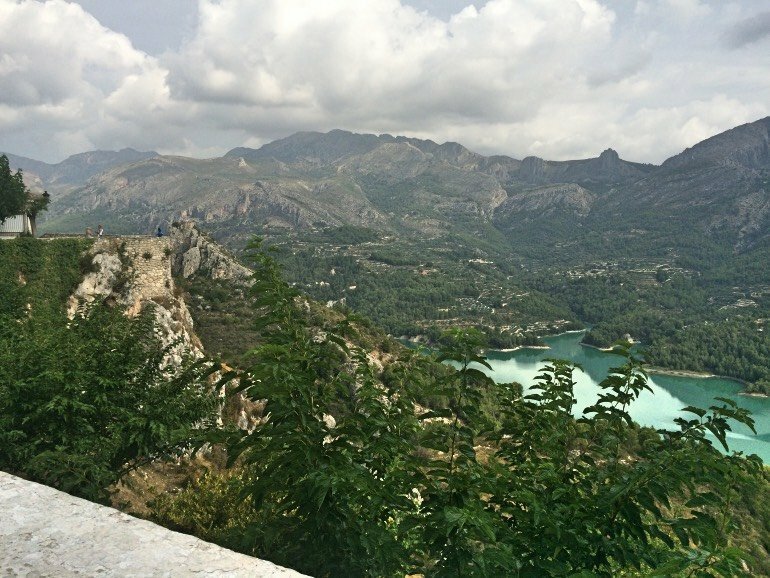 Hike around the Guadalest Reservoir and enjoy water sports. 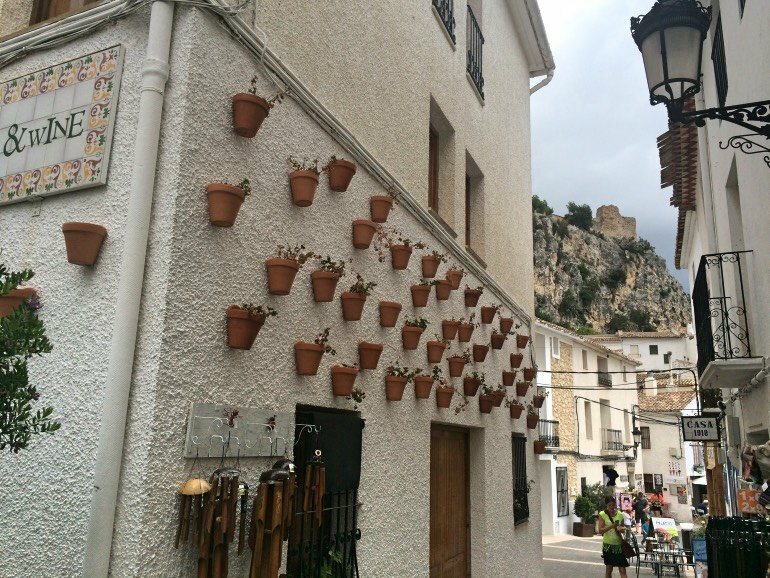 Visiting Guadalest reminded us that the Costa Blanca of Spain not only has gorgeous Mediterranean Beaches, but it also has an equally stunning inland area of mountains and quaint Spanish Villages. Being from the USA, it’s especially a marvel for us to visit castles that are so ancient and old, far older than our own native country. 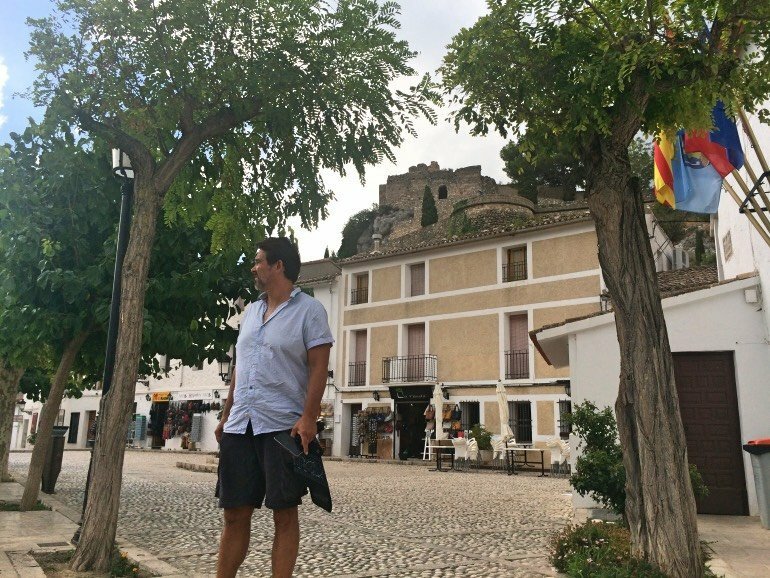 The village and castle of Guadalest is a fantastic experience that will take you back in time and introduce you further to the authenticity and charm of rural Spain here on the Costa Blanca. Great piece! We plan to take my son when he arrives next week. Mucho Gracias! Keep these coming! Thank you Tara! We’re sure that your son will love it! And so will you. 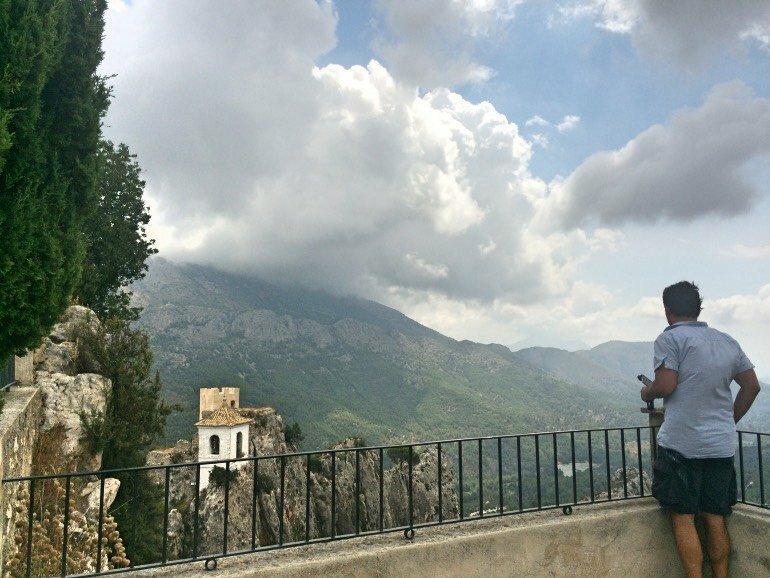 Let us know what else you may learn about Guadalest when there. Thanks so much for reading and commenting, and please visit us often! What an amazing adventure! Great pictures!